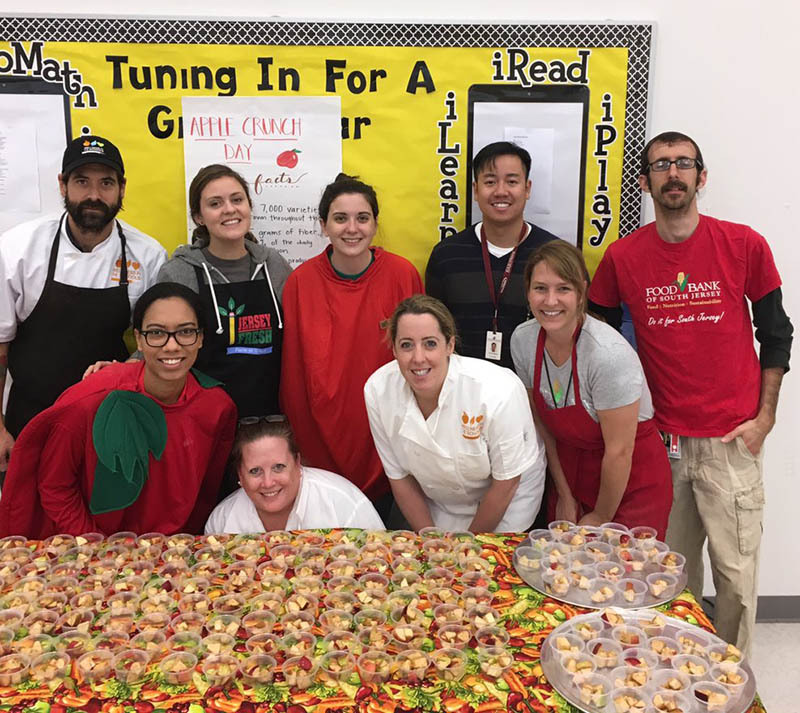 In the spring, WITS joined the Healthy Communities collective in Camden, NJ, an initiative sponsored by Campbell Soup Foundation to address childhood obesity and hunger in their hometown communities. Our WITS team is working as part of a collective impact model at KIPP Cooper Norcross Academy, alongside FoodCorps leading gardening efforts, the Food Bank of South Jersey teaching Cooking Matters and other programs, and the Food Trust promoting HYPE (healthy you, positive energy) teen engagement and other programs. We are collaborating to connect these programs to the cafeteria, and vice versa. WITS joined the other partners in leading a professional development session for teachers at the KIPP campus, telling them about the various programs the Collective is bringing to the campus, from tastings to nutrition classes to a focus on the menu. In addition we’ve regularly joined students for lunch and have had a lot of fun sharing stories and jokes. What do you call a fake noodle? An impasta!